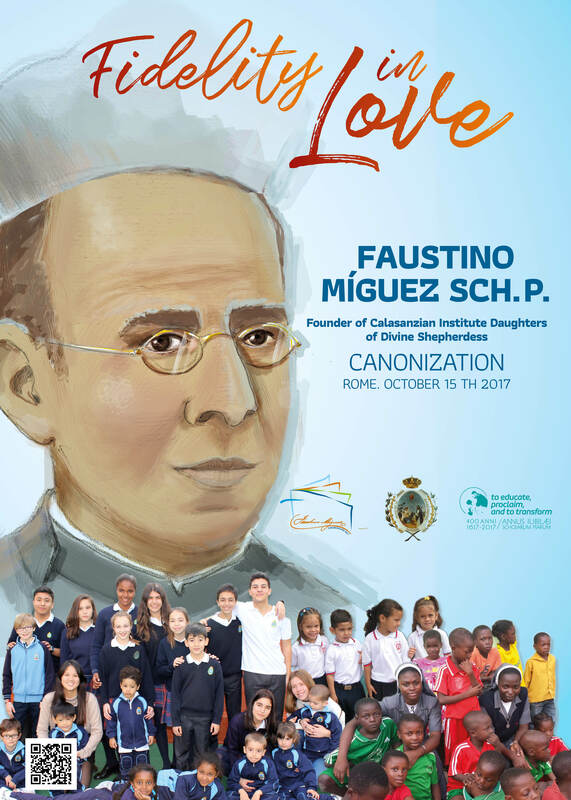 Father Faustino Míguez, Sch.P., is the founder of the Calasanctian Sisters, Daughters of the Divine Shepherd and will be canonized as a saint on October 15. He was born on March 24, 1831, in Xamirás, a village of Acebedo del Río, in Orense. Spain. 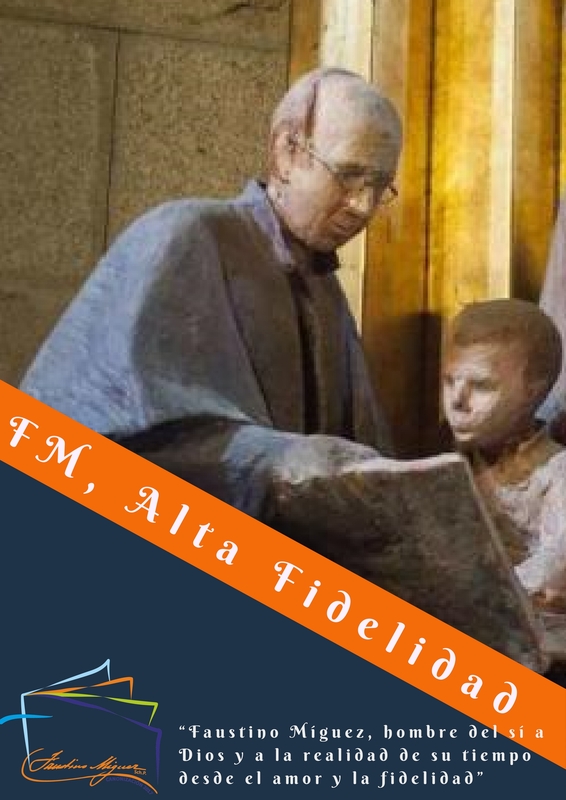 His family is of humble origin, and as a youth, he was dedicated to the work of the field, which was where he forged the fundamental elements of his personality: faith in God, prayer, work, devotion to Mary, and solidarity with the most needy. After finishing his elementary school studies in his home, he moved to the Sanctuary of Our Lady of the Miracles, in Celanova, to study Humanities and Latin. It was there that he discovered his vocation: to be a priest and an educator, in the manner of Saint Joseph Calasanz. 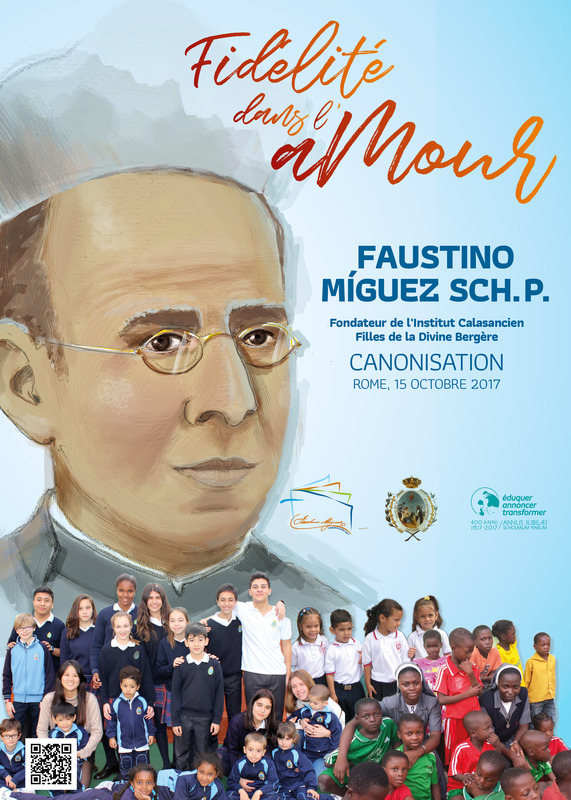 Determined to realize the dream of God for his life, in December 1850, he entered the Novitiate of the Piarist Fathers in Madrid. After three years of initial formation, he made his Profession of Solemn Vows as a Piarist Religious on January 16, 1853, and on March 8, 1856, in the parish of San Marcos in Madrid, he was ordained a priest. In 1857 he was sent to Guanabacoa (Cuba), where his gifts as an educator and his inclinations to the study of botany and his investigations into the therapeutic properties of plants were manifested. In 1860, he was sent again to the Peninsula and then successively to San Fernando, Getafe, Celanova, and Sanlúcar de Barrameda. In 1873, he was sent as the librarian to the Royal Monastery of El Escorial, where he continued his research of the healing properties of the local flora. He was then assigned to Monforte de Lemos as the rector and, in 1879, for the second time to Sanlúcar de Barrameda. And it was in this town of Cadiz where Father Faustino discovered the need to educate the Sanluean girls, just as Calasanz had done with the street children of Rome years before. And thus, impelled by the Holy Spirit, he initiated a new religious community, the Congregation of the Daughters of the Divine Shepherd, which was dedicated to the integral education of children and youth and the promotion of women. Finally, in 1888, he was assigned again to Getafe, where he remained until his death on March 8, 1925.